Completing Survey Junkie Surveys – Is it worth it? Companies want to know how they are doing in relation to their services and products. They want to know what it is that they’re doing right and what they have to improve on. Hence, they create surveys and are prepared to pay you to complete them, and one such company that gives out surveys, is Survey Junkie. But is it worth your time to complete Survey Junkie surveys? Are you going to make some good money with it? Here’s my comprehensive review of this platform. By the end of it, you’ll come to know whether it would be worth your while to trade your time for the money there. You don’t need very much to sign up with Survey Junkie; all you need to provide is your name, your date of birth, your email address and create a password. Once you’re in, you are driven straight to your dashboard of offers. The website is very easy to navigate. You can easily update information and cash out your earnings. What I like, is that you do get paid to complete internal profile surveys about yourself, to help the program match you up with more surveys, based on your answers. This definitely helps to boost the money on your first day, but don’t get excited; you only get paid 10 points each, translating to 10 cents, for each different category. So, that’s a total of 70 cents that you would get for completing all of them. The surveys themselves are not very good, payment-wise. You have surveys where you will have to spend 17 minutes on and only get paid 40 cents. If you’re able to complete 3 such surveys within 1 hour, you would only make $1.20. I was lucky to see 2 surveys paying $2.55 each that would also take me 10 minutes each to complete, but halfway through the surveys, I got kicked out and was told that I no longer qualified for them and that I received 3 points for my time – a measly 3 cents. I only initially had about 5 – 6 surveys today, 2 of them being the high paying ones that I didn’t qualify for halfway. The rest only paid 40 – 50 cents each and they were at estimated completion time of 17 – 23 minutes. I did get more surveys in as I was writing this review, but I just don’t think that they are worth the time. If I end up not being qualified for surveys again halfway through them and earning only 2 – 3 cents for my time, I would only end up with about 15-20 cents for 1 hour of work. If I get decently lucky, I am estimating to make about $5 for 5 hours of work. I was disappointed to find that the only way you can cash out your earnings would be through Paypal. So you don’t have any other options, like Amazon or eBay gift cards. If you head over to my review of Points Prizes and Prize Rebel, even THEY have multiple ways that you can cash out your money. With only Paypal as an option, if you’re somebody without a Paypal account, you would not be able to cash out your earnings and it will be a total waste of time for you. Also keep in mind that the threshold for cashing out is $10. So you might actually be working for 7 – 10 days for at LEAST 1 hour per day, to be able to make that amount, but also know that it depends on the number of surveys that you receive and actually QUALIFY for, to make it within that time frame. To be honest with you, I think that Survey Junkie, although it does have some pluses, is a total waste of time for you. Yes, you can complete it at home, at your leisure, at any time of day or night and it is a legit platform that will pay you, but in my opinion, the earnings are just not worth your while. You could ask me, “Well, who would even take out a dollar and pay you nowadays?” I agree with that, nobody would just give you even $1. But completing surveys is NOT the only way you can make money online. If it was, then Hey! I would say go for it! Even I would be completing them. But the truth is that, there are other venues to choose from, that are worth your time 10 times over. How would YOU want to earn full-time income online instead? Want to Hear of Something That Will be Worth Your Time? 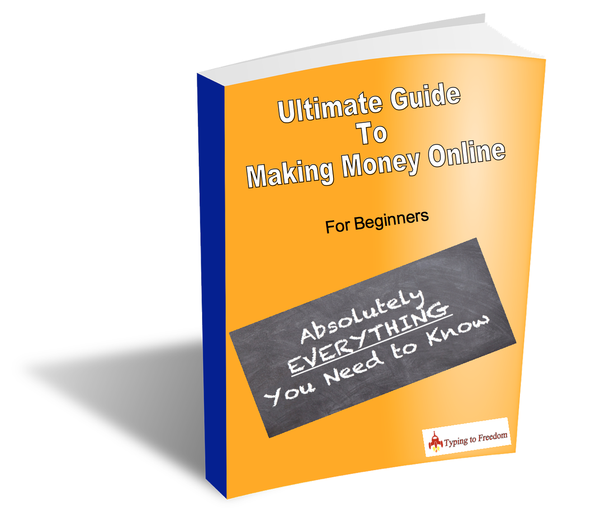 My advice is aiming to making passive income online. Few of us actually love our 9 – 5 jobs. We all mostly want to be able to sunbathe on a beach somewhere, typing away at our computer for a few hours and we are done! I’m sad to say that completing surveys is not the answer to that. If you want to learn how to make passive income online, then I suggest that you learn from the program that I have also personally learned from. No, you won’t make money instantly, but you will be growing towards making passive income online that could lead you to quit your job and live the life of your dreams. Not only can you start for free, but you can maintain your online business at an incredibly low cost (if you want to upgrade, that is). Else, you can remain a free member for as long as you want to. I really hope to see you on the other side. I will be there personally to help you grow your online business. Next Post Is Millionaire Society A Scam or Really Make $260K Per year?